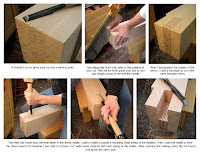 I had planned to build a poplar base for my Roubo workbench. 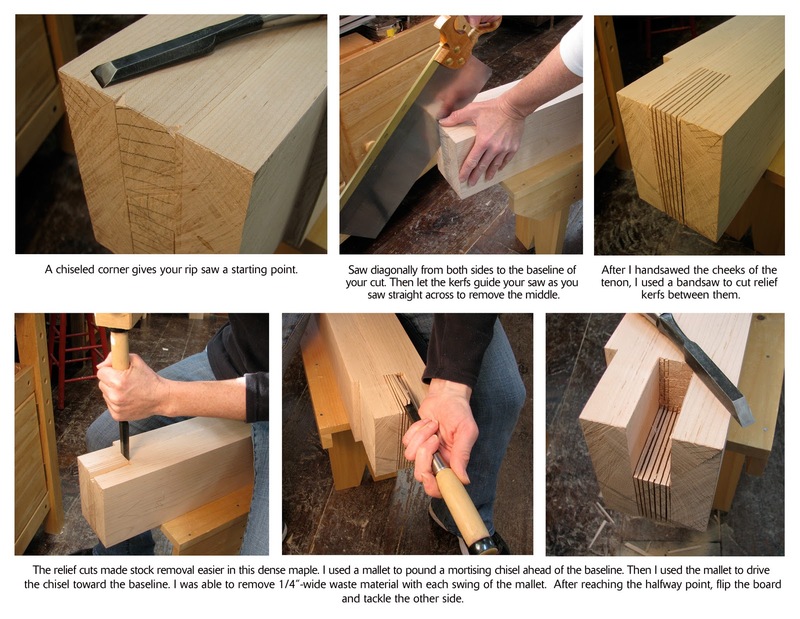 But wise friends talked me out of it, arguing that poplar would never hold up to the cherry top considering that the bench would be broken down for transport on occasion. They were right of course, so I chose soft maple instead. 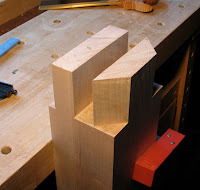 I started cutting the through-tenons and dovetails on the legs this weekend and figured I'd have all of them cut and squared up by end of day Saturday. By Monday afternoon, two legs were finished. And I have concluded that "soft" maple is, in fact, anything but. Theoretically, the tenons and dovetails will fit snugly in their matching mortises, but not so tight that they can't be knocked apart. This is going to be tougher than I thought. Maple is unyielding. So in order for all the pieces to fit, they must be square and flat. 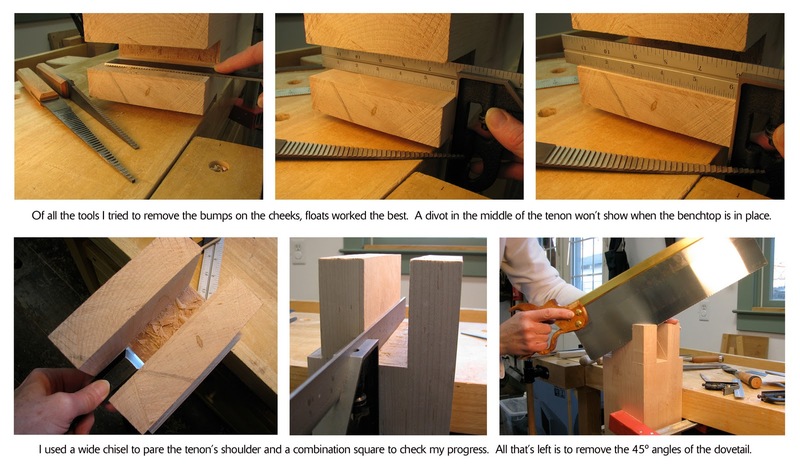 In other words, I fully anticipate that there to be gaps in the joints once the bench is finished.